Requires custom panel door. Item pictured with optional PDDP242 door panel in Stainless Steel sold separately (see below). 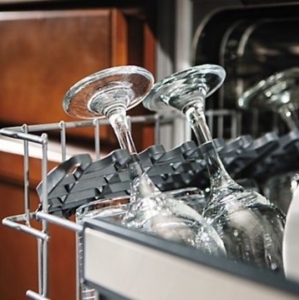 This powerful Viking dishwasher provides spotless dishes and offers incredible flexibility with three versatile dish racks, including the exclusive removable Smart Size upper rack which leaves room for tall items in the adjustable upper rack while providing an extra space for large cutlery or other items. 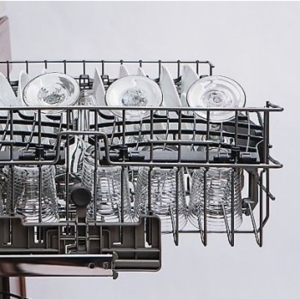 Special features include three wash arms, a triple filtration system and a turbidity sensor which monitors the soil level of dishes in each load, adjusts accordingly, and guarantees a perfect wash every time. 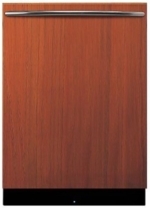 Quiet Clean insulation ensures near-silent operation at 48 dB. Adjustable racks with stemware cradles accommodate up to 14 place settings. 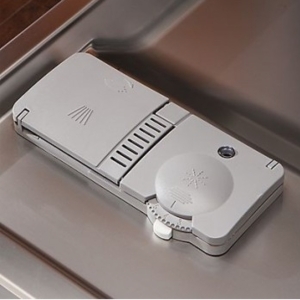 The LCD control panel allows for easy viewing of cycle and option selection, and Viking now features a cycle-run indicator light on the floor for added convenience. 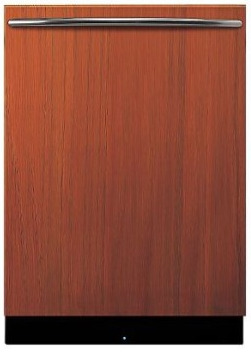 This unit is design compatible with Tuscany, Pro, Viking or custom-built panels (panels sold separately). The dishwasher runs so quietly, there is now a floor light to let you know that it's running. When it goes out, the wash cycle is complete.